1. Marcus Smart should have even odds to be traded. The Celtics’ asking price is firm, a first-round pick, and teams are reluctant. Smart is a mixed bag of value right now. He’s a restricted free agent, so you have to pay him this summer, but as a RFA, he might get truncated value like last year’s class. He’s a top notch defender, and an excellent passer, but of course, couldn’t hit water if he fell out of a damn boat shooting. He also comes with questions about his maturity, especially after the latest episode in an LA hotel where he lacerated his hand punching a picture frame. To be absolutely clear on this: Smart is 23. Maturity issues are not the end of his identity, and he’s also a guy who works harder on the floor than just about anyone. He impacts the game in a positive way every time he plays, even when he’s shooting horribly. These are concerns, but they’re also concerns mentioned to exert leverage in trade talks. Teams are still very interested. Outlets close to the Celtics began reporting Tuesday night that it’s unlikely he’ll be moved, with one person indicating the Celtics still see him as part of the “core.” I’ve heard different, but even then, with the Celtics, it’s common for deals to become more difficult as negotiations go on. The Celtics seem motivated to move him, with the latest reports either being damage control or a misdirect, but the truth is, Danny Ainge’s moves are rarely telegraphed. 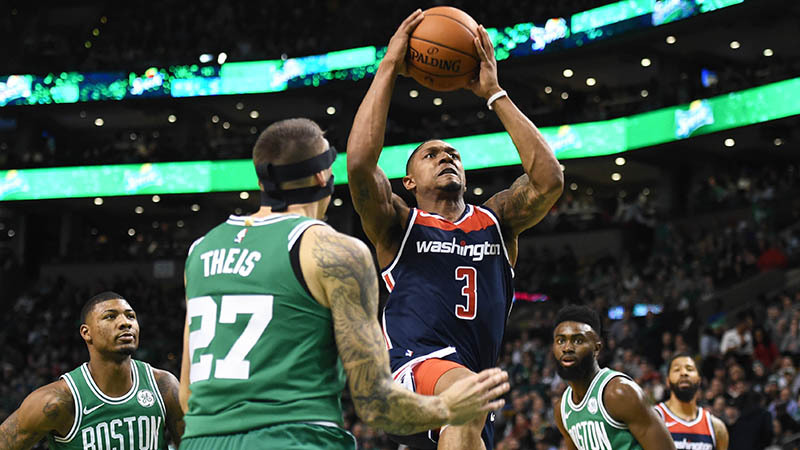 Our crew of experts breaks down everything you need to know to bet Thursday’s loaded NBA slate. 2. 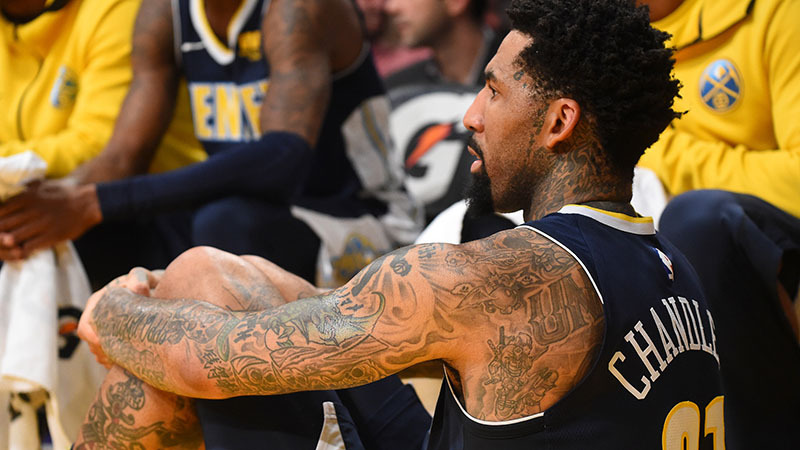 The Nuggets were mentioned as a team interested in Smart, and sources told The Action Network that Boston and Denver two sides did have discussions a few weeks ago that resurfaced briefly this week, but nothing approached the framework of an actual deal. 3. Speaking of Denver, they keep showing up in talks. Here’s what Denver’s interested in: moving off Emmanuel Mudiay and Kenneth Faried’s contracts, adding a veteran backup point guard. That’s it. They won’t feel under pressure to address their upcoming salary crunch. Their luxury tax bill will kick in at the end of next season, giving them all the way through the next trade deadline to swing a few cost-saving deals. 4. There’s been weirdness with Wilson Chandler. Chandler left the bench at one point after being benched a few weeks ago, then mysteriously was out with an illness. He then returned, only to be given a DNP-CD. Then he started. Then he was out again with another illness. It’s been weird. Things are strained, but Denver does not feel any pressure at all to move its starting small forward. If Chandler goes, it’s only because they found an upgrade. 5. Avery Bradley’s name keeps being floated. He’s a cautionary tale. A veteran with a not-insubstantial injury history on an expiring contract, whose defensive metrics have been poor for two years, with a recent sexual assault scandal that was settled out of court. Combo guards who can shoot and defend are at a premium right now, so players like Courtney Lee (Knicks), Wesley Matthews, and even unproven guys like Wayne Selden and Tony Snell may prove to be better options than Bradley. 6. 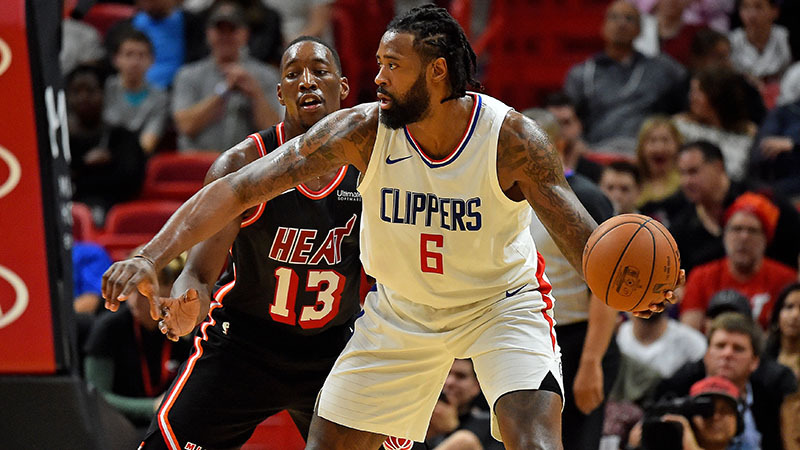 Portland and the Clippers are at a standstill with DeAndre Jordan, according to two league sources. The Clippers’ asking price is still too much, and neither side is particularly desperate to get a deal done. The teams that want Jordan, for now, don’t have the assets to get a deal done, and those that do aren’t looking to add him. Yes, you can bet on the NBA trade deadline. Matt Moore analyzes the odds, and makes a few predictions based on what he’s hearing. 7. The Pistons are getting excited about their new configuration with Blake Griffin, and as a result, Stanley Johnson is no longer on the table. This can change at a moment’s notice, but as of now, Detroit seems to be settling down instead of ramping up for more moves. 8. The big story Tuesday was the Lakers’ intent to shift toward 2019 as the free agency class they would target, as opposed to this year, per ESPN. That report is clearly meant to manage expectations, and it comes on the heels of comments from Thunder guard Paul George about how much he likes OKC and playing with Russell Westbrook. 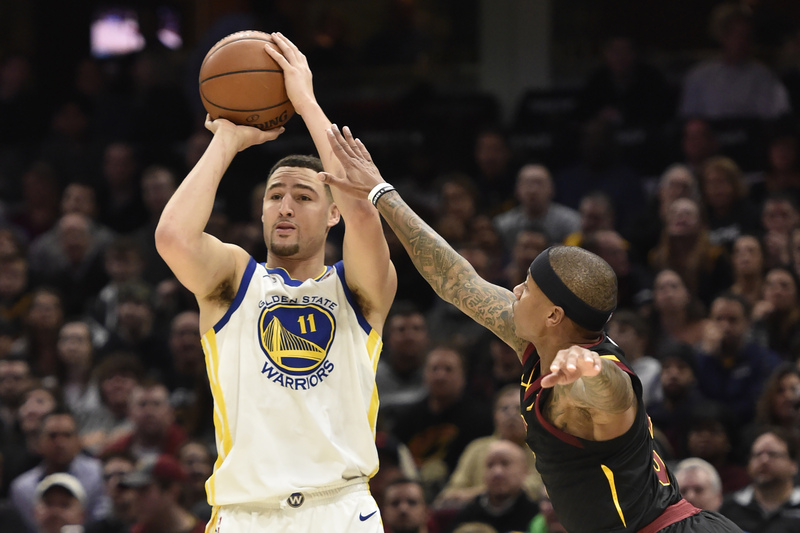 The idea is that with more cap space in 2019 and more available stars (Klay Thompson, Jimmy Butler, Kawhi Leonard), LA doesn’t need to sell off assets to clear money for dwindling options this summer. Here’s the issue with that strategy: Life gets in the way. In a year, there could be talk heating up of trading Thompson for Anthony Davis. Butler could be signing a long-term extension or clearly locked-in. The same way that their options this year dried up, so could next year’s. Additionally, this shows why maybe teams that aren’t in a contending position need to trade for free agents when they can instead of banking on signing them. You need to get someone in-house to help sign other stars. That’s not to say this summer is totally dead. If the Thunder fall apart, George can re-think things. That’s his right. Nothing is settled. The fact that this seems to indicate LeBron James is not on the table, however, is notable. 9. In an interview with Zach Lowe last week, Lee Jenkins hinted that James may not leave Cleveland because he won’t have a better option. That’s why the next 48 hours will be interesting. If teams make moves to clear space, that’s a sign they think they’re in the conversation with LeBron. And at this point, the other question, honestly, is how low the bar for “better than Cleveland” actually is. 10. There’s not a clear way forward for the Cavs, so much so that I spent most of the time on this podcast talking about how they need to trade LeBron. The idea that Cleveland can fix this with a deadline move or two is folly. The whole thing is fundamentally broken and rotten, inside and out. 11. Dewayne Dedmon continues to be a name mentioned in talks. He’s such a quality defensive center on an affordable deal, and most teams believe he can help them. The Hawks, as has been reported elsewhere, are open for business. 12. I expect the Hornets’ wing rotation to be different by Friday, in some regard. A lot is on the table, without any clear directives of what that will look like. 13. Spencer Dinwiddie is not liked by executives as a trade target as much as he is a free agent down the line. Dinwiddie garnered praise, but not as much trade lust as I figured he would. Rockets vs. Jazz Game 4 Betting Preview: Get Out the Brooms?